Emma is fourth from left. 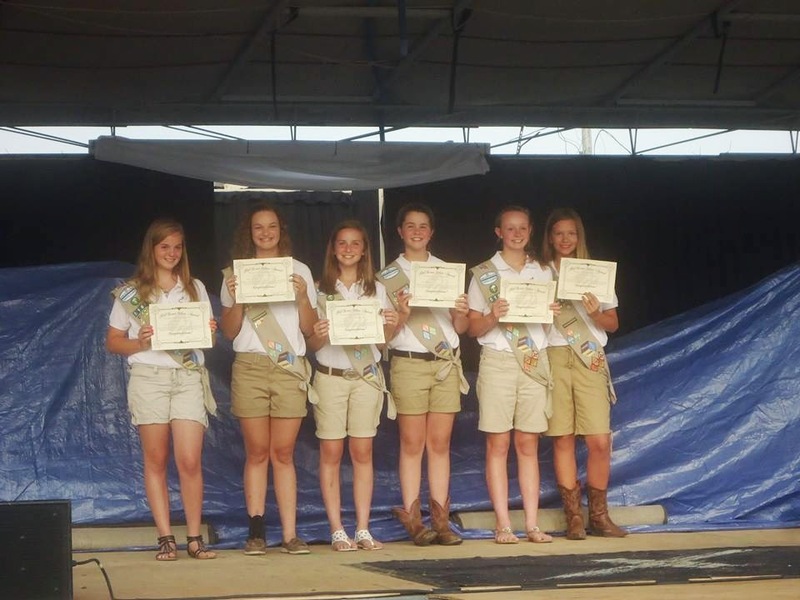 Emma, along with other members of her Girl Scouts troop, were recognized and received a Silver Award during the local county fair. All the girls built a sign for the entrance of the fairgrounds, earning them the award. My oldest daughter, Shelby, is going out on her own this week. She was living with us for a while but has secured herself a place. It's an apartment above a restaurant. Nothing grand or great, but works as a first-time place. I hate to see her go but we'll see each other often, between roller derby practice and her coming back to do her laundry. Pain Dispatcher - 911 is my derby guise. Right now our team, DRDC is 5-0. Undefeated, baby! 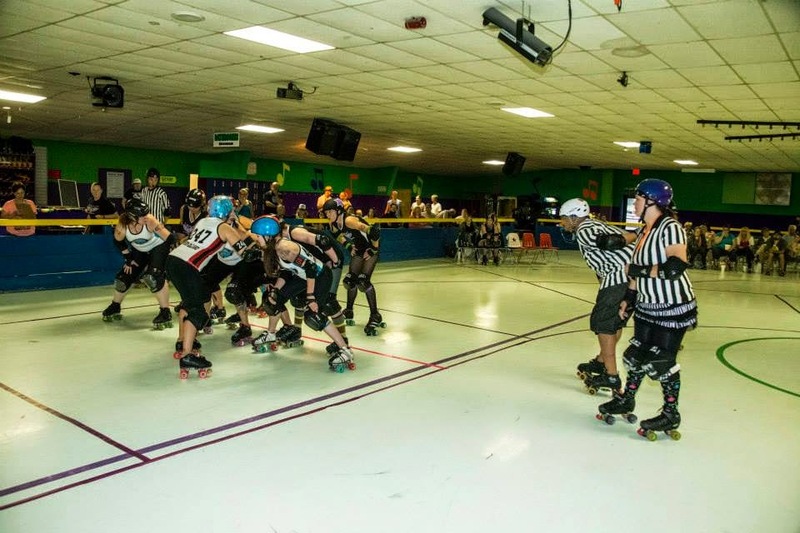 After several months of practice and pain, I finally got to officially ref during a derby game. I made up my mind beforehand that I wasn't going to get all nervous and stuff. For the most part, the mind game worked. It was fast-paced and exhilarating, and I can't wait to do it again next month! 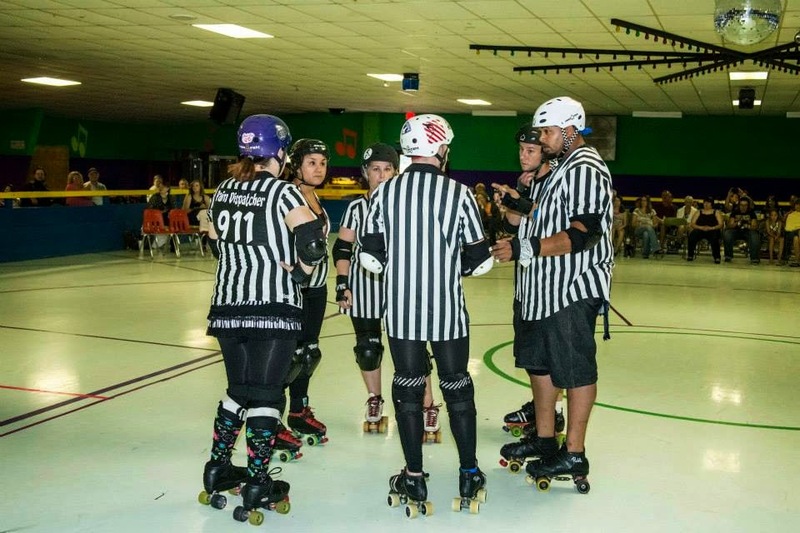 Only in roller derby can a ref get mean looks and sarcastic remarks during a game, then get bombarded with hugs and compliments afterwards. Logan got his license last week. By the looks of it, you'd think he got his mug shot! I swear, that kid makes it his mission not to smile. After all, none of the cool kids do. Logan is one of the very few kids that has not made me scared to ride with. He's very attentive to his surroundings and is focused when driving. My mom darn near gave me a heart attack Thursday night. She was sent into the hospital by my sister because she was on the brink of unconsciousness. After a gazillion tests, it was determined that mom needed to be admitted. Already having a diagnosis of COPD, her oxygen levels were really low and she had pneumonia. All that combined made for a bad few nights. I spent the night at the hospital with mom Thursday night but sleep was a daydream away. Between her and the other patient in the room, it was a full night of Snore Wars. They both slept good; I didn't! I know my mom's getting up in age and down in health, but she gave me enough scares to last a while. What have you been up to the past week? Congrats to Emma and her Girl Scout troop! Too funny about Logan's pose with his license. It does look like a mug shot! I'm so sorry about your mom's recent hospital stay. Hopefully she won't be giving you any more scares in the near future. Awww, that's quite a few milestones this week. One moves out, the other is an officially licensed driver. I bet it's so bittersweet!